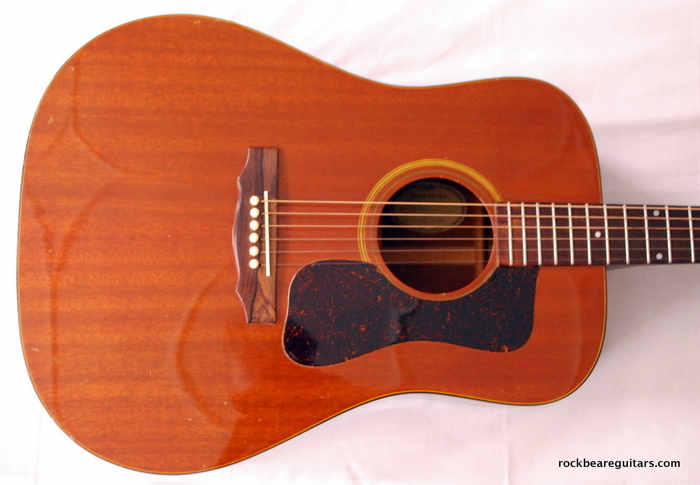 The M denotes a mahogany top, which gives it a slightly more pinched, mellow tone. 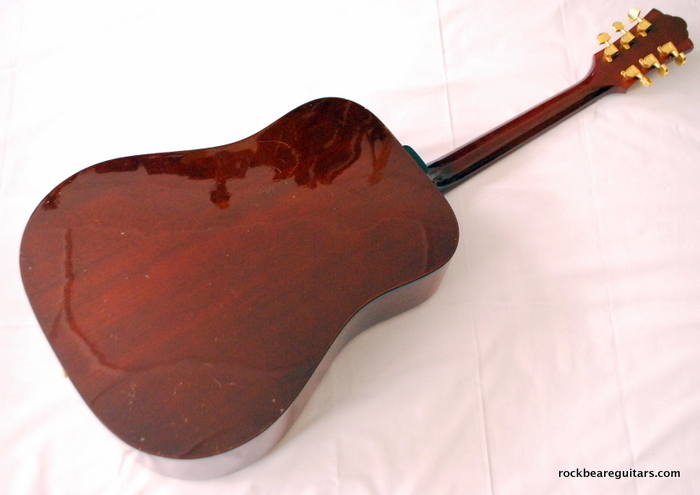 It’s also finished with a yellow lacquer which gives the mahogany top a golden hue. Really nice. 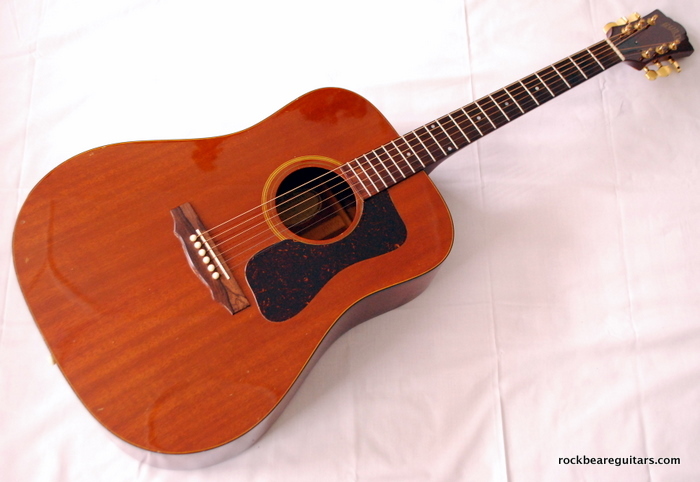 I bought it pre-owned from the ill-fated Fender Shithouse (sorry, Soundhouse) in Tottenham Court Road in ‘73. Some distance from the main drag of Denmark Street, it was overly expensively fitted out and never really found its place amongst the must visit shops. But it was round the corner from my college so I used to drop in frequently and one day I found this. Cat Stevens was in there and had just been playing it when I picked it up, played and liked it and decided to buy it, at which point he returned to it and tried to buy it. Fortunately, I prevailed and this became my main acoustic until the Aram took over. The original machine heads had already been replaced with silver Schallers, which I subsequently replaced ca. ‘80 with some more sympathetic gold ones I had lying around. 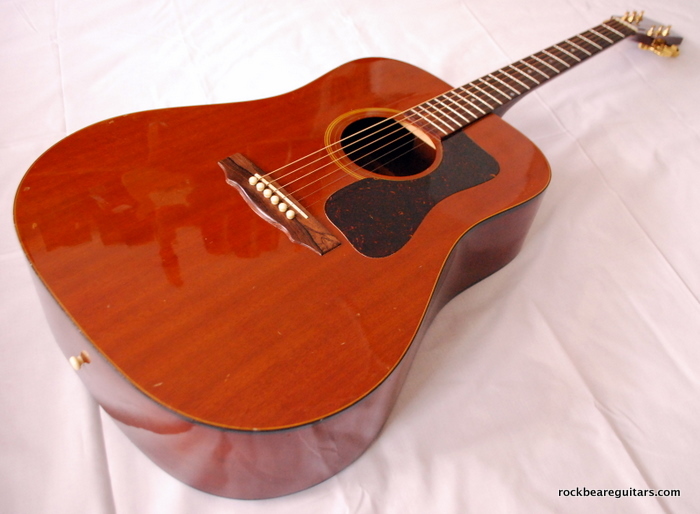 I had it strung in ‘Nashville tuning’ – the high strings of a 12-string set – for several years for recording and it sounded excellent, but it’s back to standard stringing and tuning right now and its tone is improving with age.